1943: Holland is under Nazi occupation. In Amsterdam, Jack, an unassuming accountant, first meets Ina at a birthday party - a 20-year-old beauty from a wealthy family who instantly steals his heart. But Jack's pursuit of love will be complicated; he is poor and married to Manja, a flirtatious and mercurial spouse. 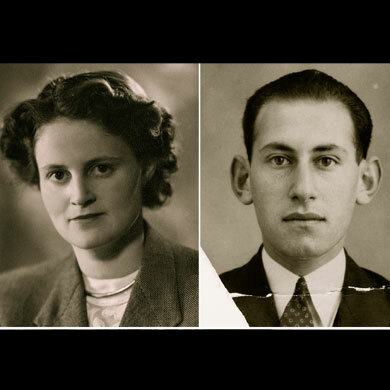 When the Jews are being deported, the husband, the wife and the lover find themselves at the same concentration camp, living in the same barracks. When Jack's wife objects to the "girlfriend" in spite of their unhappy marriage, Jack and Ina resort to writing secret love letters, which sustain them throughout the horrible circumstances of the war. 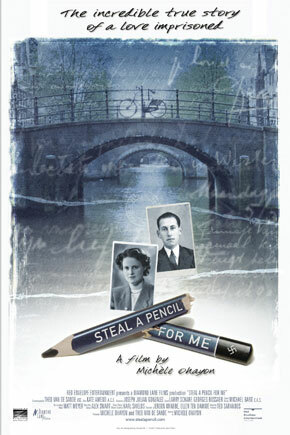 STEAL A PENCIL FOR ME is a compelling documentary feature film by Academy Award nominee Michele Ohayon about the power of love and the ability of humankind to rise above unimaginable suffering. Michele Ohayon is an award winning director, writer and producer. Born in Casablanca and raised in Israel, Michele graduated from Tel Aviv University (Film & Television). In 1984, she received the Israeli Best Film Award for Pressure, one of the first dramatic films on the Israeli-Palestinian conflict. In 1987, she moved to Los Angeles, where she directed a succession of critically acclaimed dramatic and documentary features. Michele has also produced and directed commercials, episodic television, and music videos. For her body of work, Michele received the 1996 and the 1998 Artist's Grant from the Los Angeles Cultural Affairs Department and was recognized for her fiction writing in the Chesterfield Writing Competition of 2000. Michele is a founding board member of Cinewomen. Her goal as a filmmaker is to tell good, truthful stories about real people and to make films that open hearts and minds.